Stunning in its simplicity, this sterling silver money clip will be a favorite piece in his business accessories! The highly polished face is the perfect backdrop for custom inscription of his name, initials or special message, offered at no extra charge. 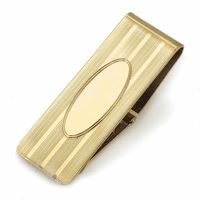 The hinged mechanism holds from 1 to 25 folded bills securely, and opens easily when he needs to access his cash. 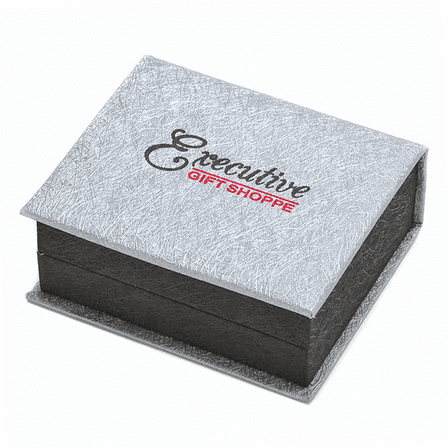 The money clip comes packaged in a gift box that's ready to surprise him at the perfect moment! Please tell me the weight of this item? 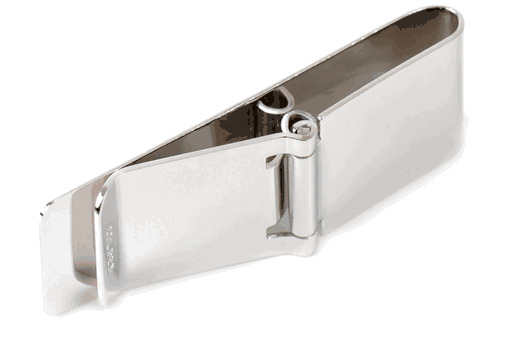 This money clip weighs .6 ounces. 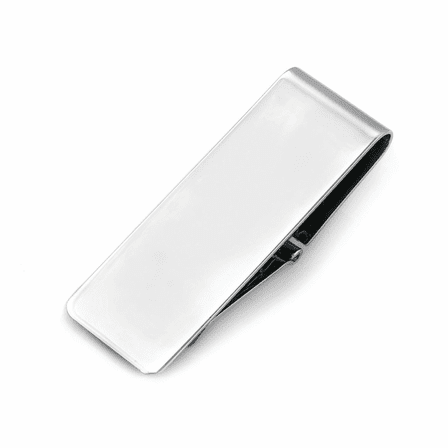 What does money clip look on other side. Please send pic. We're going to add a picture of the back for you. 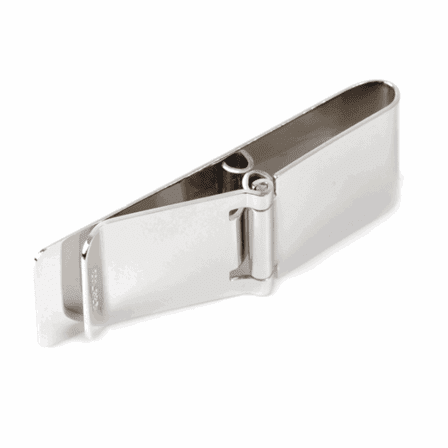 I'm looking for a money clip hinged on one end and I see this one is. 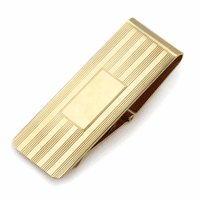 Do you have this money clip in stock? We do have this in stock. If we run out of stock, we can order it in and have it shipped out within 2 to 3 business days. If this is the case, we will let you know right away that your order is going to take 2 or 3 days to ship. 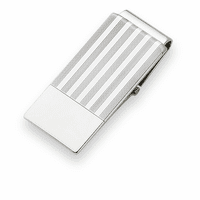 Silver money clip was very nice. Waited almost three weeks for delivery when the catalogue proudly stated it would ship in two to three days. Never received an e-mail explaining why the delay. Don't order if you need it soon! !